On November 10-13, a number of world leaders, economists and activists, and advocates of good governance would gather in Bangkok, Thailand for the 14th International Anti-Corruption Conference. The conference convenors have seen it fit to invite eight social media and journalism folks from around the world to help them maximize the use of social media throughout the event and make it engaging to netizens worldwide. I am privileged to have been chosen to be one of these folks and judging from the email exchange we’ve had, we’re all excited to go to Bangkok for this event. 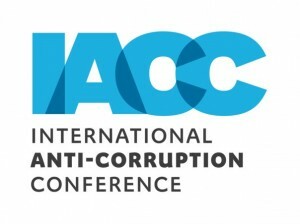 Joining the 14th IACC provides me an opportunity to learn from my colleagues there, to help encourage online discussion of the corruption issues as discussed in the conference, and to spur netizens to speak out and to commit themselves to take action – both online and especially offline. If you wish to get in the groove of the social media efforts of the 14th IACC and to join the conversation, you may follow the Twitter account or “like” its Facebook page. You could also follow me on Twitter for live updates straight from Bangkok. You could also check out Transparency International’s social media tools. Corruption almost always thrives in secrecy – almost, because in many places and circumstances, corruption displays its ugly head openly to the public to make them grow tired and weary of fighting because they can get away with it. I think that’s called impunity. Many corrupt leaders and officials in government have been exposed but many still remain – sapping the public coffers and the patriotic energy of the citizenry who are said to be downed by apathy and indifference because nothing seems to change. The advent of social media provides citizens with many tools to help initiatives to hold corrupt officials accountable, to monitor transactions, to expose perfidy, to confront authorities and to link citizens locally and internationally in common endeavors. Many governments now use social media but as nothing less than online magazines for self-promotion and “praise releases”. There are only very few national officials who see social media as a venue to engage with their constituents, to listen to them, and for them to be held accountable. We Filipinos know the impact social media could have on public affairs. We’ve done it in the elections and beyond. Prior to the rise of the internet, we specialized in mobile activism, sending millions of text jokes and text invitations to rallies until that big “eyeball” on Edsa when People Power answered our text (and call) to oust a corrupt president. We must continue to use social media and mobile activist tools until, slowly but surely, we attain good governance for ourselves. Social media is a tool and that is what I’ve told friends and the organizations who have sought my views on its role in movements and causes. Used by patriotic citizens, it would be an instrument to inspire love for country. Used by human rights advocates, it would help champion respect for human rights. In this case, if used by people who want to combat corruption, social media could expose corrupt acts as they happen or after they happen, keep pressure on government, and remind the people what we would gain if we get rid of graft in government. There are a lot of great examples of social media use for causes and movements – and the challenge is to learn from them, improve them and contribute to this growing list of fine examples. Otherwise, the corrupt and their cohorts may seize social media to deflect criticism, to evade scrutiny, to change the rules of the game to a setup that favors them and their clients, and to keep the “peace” under their regime. The corrupt may also try to “buy” their way into social media and some of our colleagues in social media may let themselves be bought. These are all posible and in other cases where the corrupt powerful feared public retribution offline and online, they cracked down on the traditional media and the internet. Those of us who could freely use the internet and social media tools should be grateful and help in any way those whose access had been limited or ended. Information – is shared and spread, confirmed or discredited as the case may be, and develops informed and therefore empowered citizens. Corrupt leaders are rendered less powerful when people get access to information. Insight raises awareness and the fighting will of people. Interactivity – propels discussions and deliberations; confronts, challenges and seeks answers from authorities; enables the formation of networks of people with varying levels of support; and improves campaigns themselves thanks to feedback straight from the public. Movements and advocates themselves are not spared from accountability to the public they profess to serve and lead. The conversation, participation, openness and community in and of social media are anathema to corruption, and are hallmarks of the better world and good governance that we many of us aspire to work for and see into fruition.